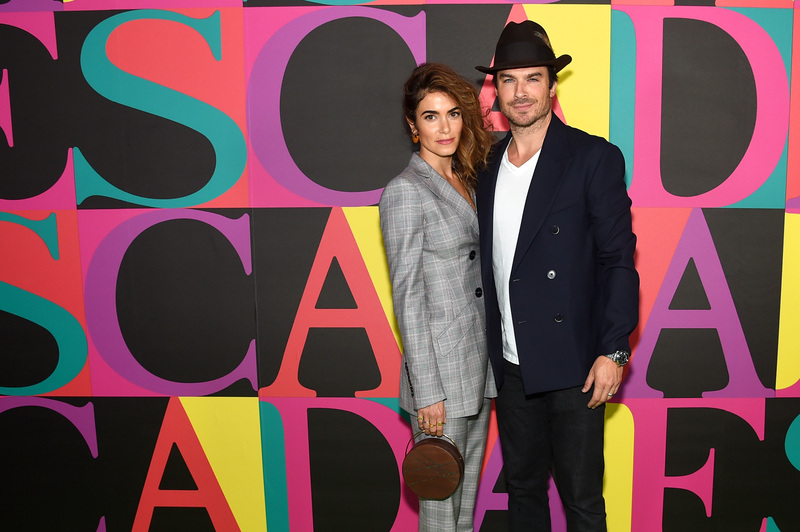 Nikki Reed and Ian Somerhalder are taking their relationship to new heights – literally! The actress shared some photos on her Instagram in honor of “Man Crush Monday,” showing her doing an insanely athletic acroyoga pose with husband Ian. “#mcm To the most amazing, secure and supportive partner who encourages me to train with some of the best Acro teachers in the world, because he knows how much joy I get from this practice, and then lets me climb all over him like a jungle gym when I get home to show him what I’ve been working on (+ a kiss)” the “Twilight” franchise alum wrote. The pair were snapped in the acroyoga poses (a combination of yoga and acrobatics) on grass near some ocean waves. Besides health, the acroyoga probably comes in handy when it comes to chasing around after the couple’s daughter, Bodhi Soleil Reed Somerhalder, 15 months. RELATED: Ian Somerhalder & Nikki Reed Show Off Kissing Skills In Wild Acrobatic Pose! “Wow, times flies. TVD hair/makeup chair just about to be snipped, shaved and “refined” back to Damon Salvatore. Day before shooting season 7 of The Vampire Diaries,” he wrote to accompany the mirror selfie. WATCH: #FBF: ‘The Vampire Diaries’ – Our Early Interviews With The Cast!